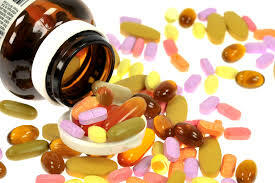 Vitamins and aging --- its a necessity! – Nutrishop Tampa Nutrishop Tampa is a great place to get supplements and vitamins, order by telephone 813-991-9999 today! Vitamins and aging — its a necessity! Well, as we age we lose things. We lose hair (or gain it in places we don’t want! ), lose hearing, eyesight , height and muscle mass. The list can go on and on. We also start to lose the ability to get the proper nutrients for our age. When we age so does our bodies needs and requirements in respect to vitamins and nutrient. We all know you need more calcium when you age , so we wont touch on that topic. However, we will discuss your needs with vitamins. Folate- not having enough folic acid, or Folate in your system can have devastating effects on your well being. Did you know that there is an anemia caused by low Folate levels? Headaches, Lethargy and shortness of breath are all caused by Folate deficiencies! You must make sure you have adequate levels in your body as you age. B12- helps your memory, it is needed to help maintain a better memory and improve cognition. Recent studies have shown that when used in conjunction with Folic Acid, it can reduce Brain Stress and Inflammation. Vitamin D- This Vitamin is crucial for the absorption of Calcium in the body. Less Vitamin D the more Calcium you need, making it difficult to get your recommended dosage of Calcium. Vitamin E- Deficiency is this esssential vitamin can lead to muscular weakness, slower tissue healing, leg cramps, and hair loss. Why risk not having recommended amounts of Vitamin E in your body? Vitamin C- An important vitamin, take enough Vitamin C or else… you may have fatigue, mood changes, weight loss, bruising and dental issues. Make sure your supplementing your natural Vitamin C intake. An easy way to get all your needs is with a high quality Vitamin supplement. Nutrishop carries a Multivitamin in both mixed drink form and also in capsule form. Vitamins and aging Choose your healthy choice. These Vitamins carry the most lacked vitamins as we age but, also has other needed vitamins and nutrients, yes corral calcium is in there too.